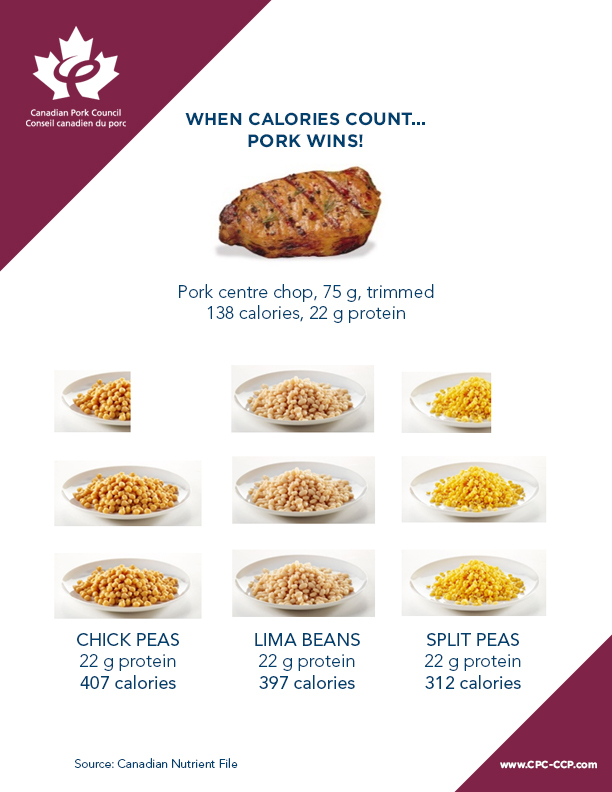 When CALORIES count… PORK WINS! Given the escalating rates of obesity in Canada and the associated burden in terms of chronic diseases such as diabetes and coronary heart disease, it is important to recognize that protein can actually be a valuable ally in the battle of the bulge. Research shows that replacing some carbohydrate with protein-rich foods may have health benefits. It’s been well documented that protein is the most satiating macronutrient - more satiating than carbohydrate and fats, and studies show that replacing some carbohydrate with protein-rich foods may help with appetite control. You can get your protein from many different sources, but the more ”diluted” the protein is – the more calories you need to ingest to get the 22 grams of protein. 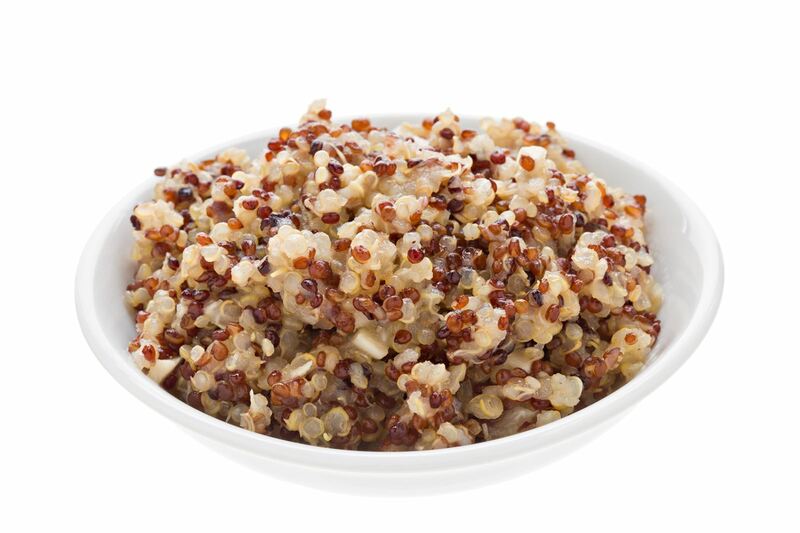 Vegetable protein sources require a lot of food and also calories. High-quality proteins allow you to reach your protein requirements while taking in the fewest calories. Choose lean or extra-lean cuts of meat more often. Look for the word ‘loin’ on the package label. Vary your protein choices. Eating a variety of protein-packed foods each week alleviates boredom, changes up your meals, varies nutrient intake and enhances health benefits. Rethink your breakfast and lunch choices to include eggs, yogurt, and ham instead of the usual carbohydrates such as cereal, bagels, toast, pastries, sandwiches, pasta. Sprinkle unsalted nuts or seeds on salads, use them in stuffing or make them part of a healthy snack. Add legumes, such as beans, to chili, stews, soups and casseroles.